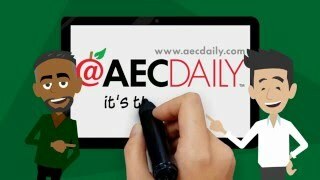 AEC Daily is one of the largest providers of continuing education for Architects, Engineers, Contractors and Construction Design Professionals. 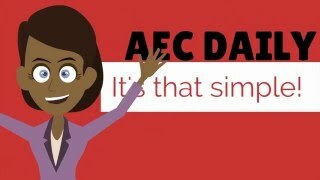 Offering hundreds of FREE online courses available 24/7, and a constantly changing roster of live, face-to-face education sessions - AEC Daily provides the opportunity to manage and satisfy CE requirements in a secure, easy-to-use website. Course completion is automatically reported to applicable industry associations such as the American Institute of Architects (AIA), Green Building Certification Inc. (GBCI), Interior Design Continuing Education Council (IDCEC), The American Council of Engineering Companies' Registered Continuing Education Program (RCEP) and dozens more. 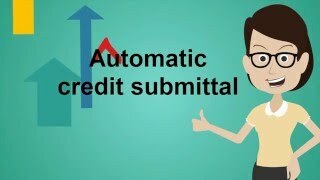 The online service, courses and account registration are simple, completely free and supported by a full staff of service representatives. In addition, AEC Daily provides a comprehensive database of building product manufacturers which includes links to product information including CAD details, sustainable design data and much, much more. Get started today! Performance updates and 32 bit support.